Hey all the ladies out there, let’s have some girlish discussion here. Every woman, of whatever age she is, she is extremely conscious about her looks, and she should be because she has a right to look pretty. 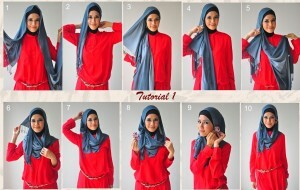 Women are the beautiful creation of GOD, and she deserves to look pretty and perfect. 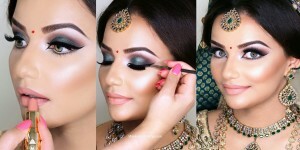 Most important thing in that is the main factor of beauty is a sharp makeup. 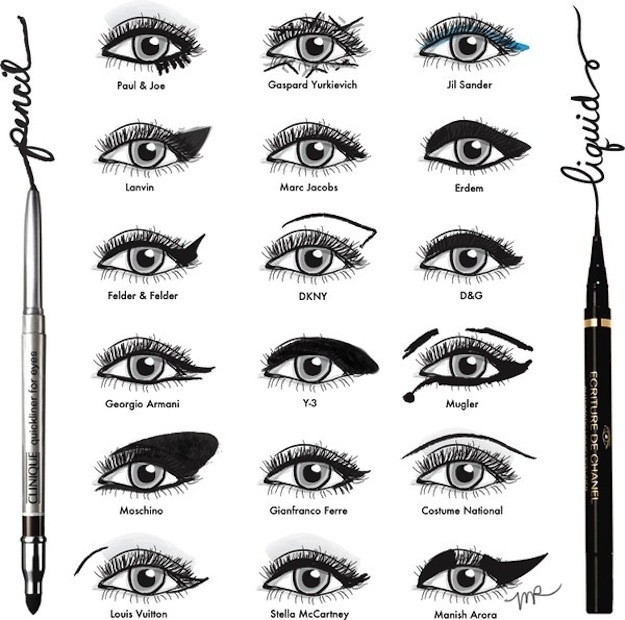 And a sharp, perfect makeup means a perfect eye make-up. Yes! 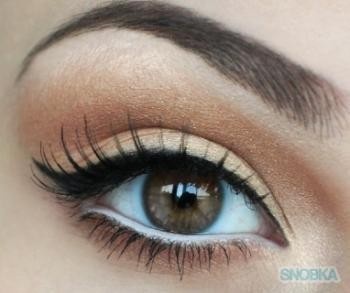 Eyes are the main point which enhances the grace of your look. 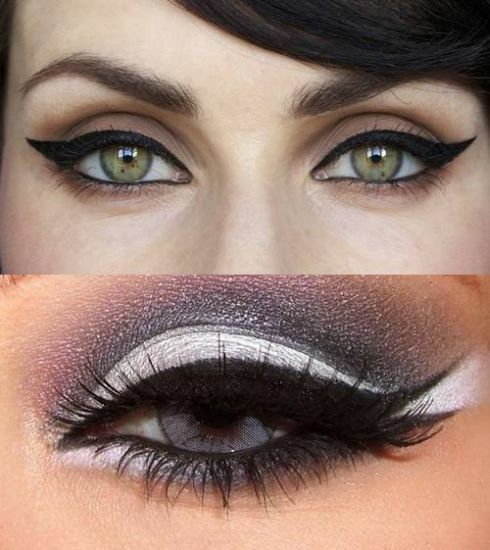 And they key thing in a perfect eye makeup is the perfect eyeliner. 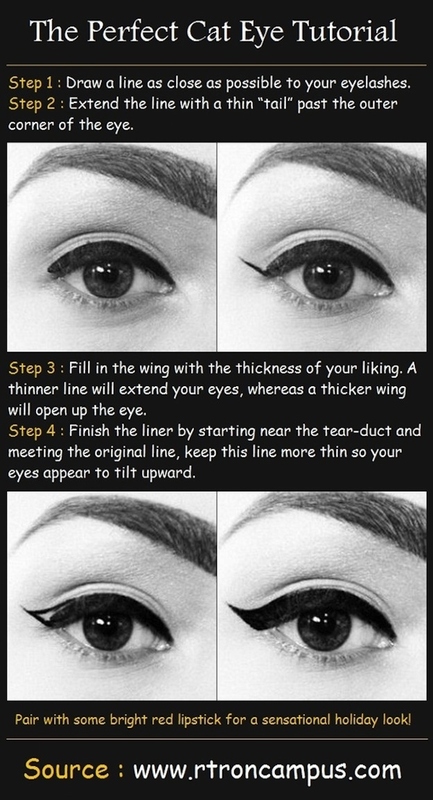 Applying perfect eyeliner is not a difficult thing but it seems difficult to keep the wings equal, to keep the thickness equal and keep it smudge-free all day. 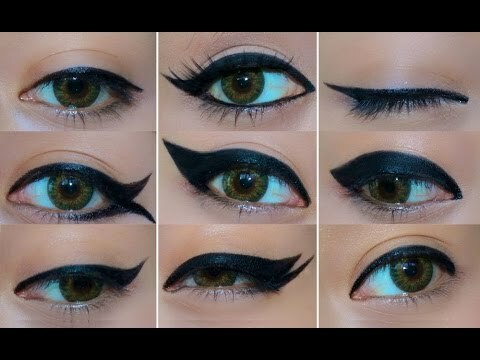 Mostly, girls don’t use proper products, or their hand is not comfortable with the product they are using; now it’s a bit strange that how can hand not be comfortable with the product. But its reality, you see some people hold a pen very close to the nib while some hold it from above. Some are comfortable with thin sharp nib and a tight grip while some are with the soft, loose grip, Right? 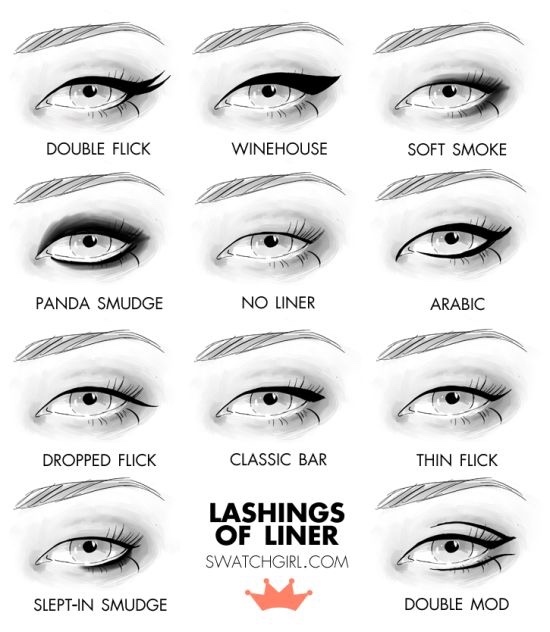 Similarly when we apply eyeliner, this phenomenon applies. 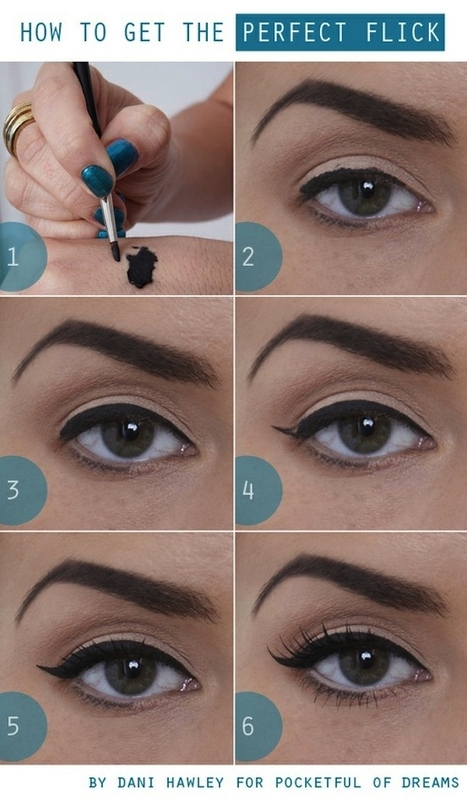 Many ladies have shaky hands, and when they try applying cake liner it’s never right, and if they try a matte or liquid one they will notice that they can line it well. And more that matters is the right technique and practice. 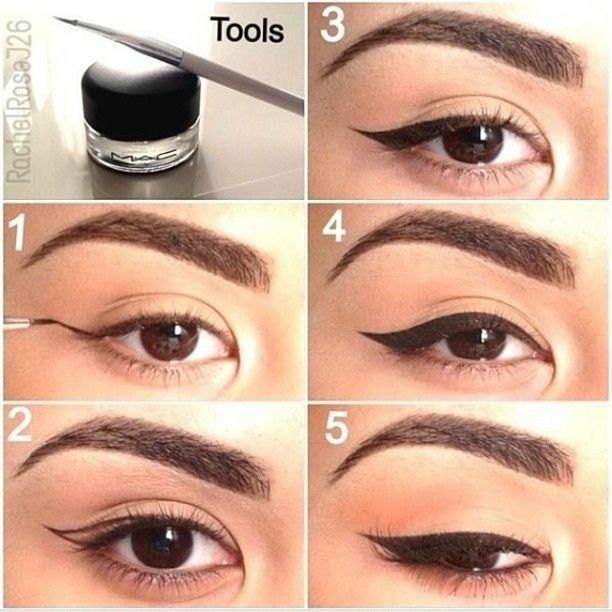 Here we have some simple tips to apply perfect eyeliner. 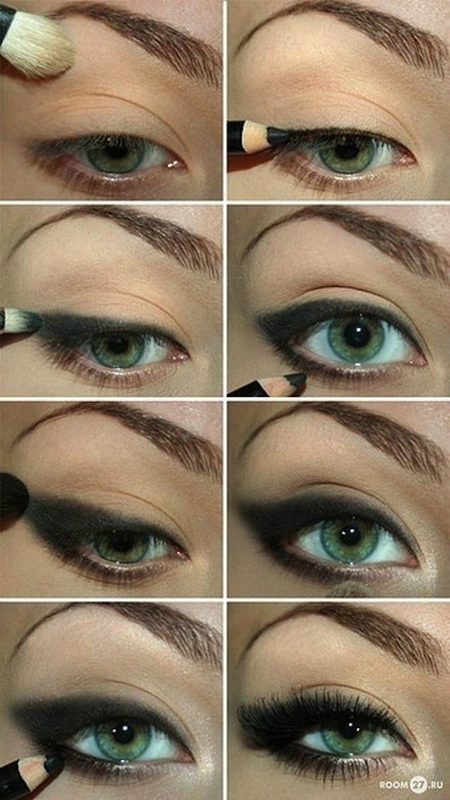 Firstly, see the shape and size of your eye. 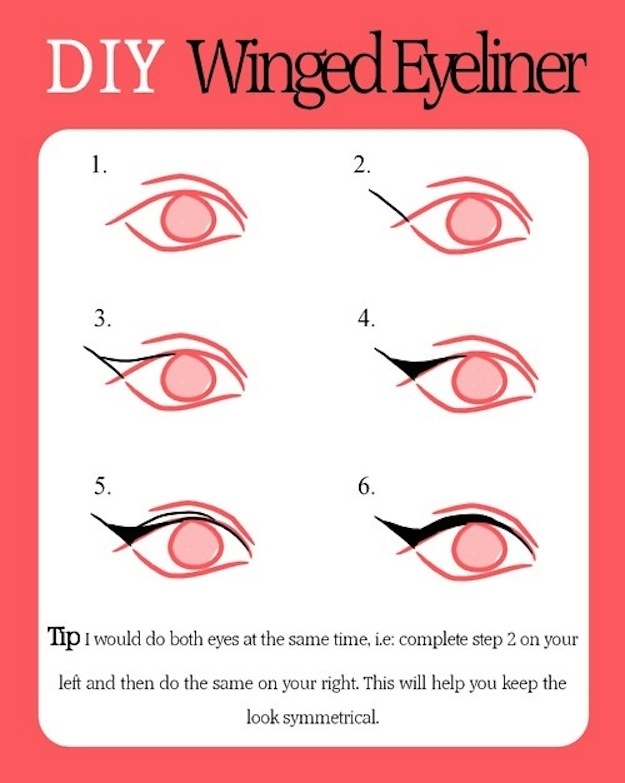 Use a thick and long-winged liner on small eyes to enhance them and if you have large eyes keep wing as short as you can and keep the line thin. 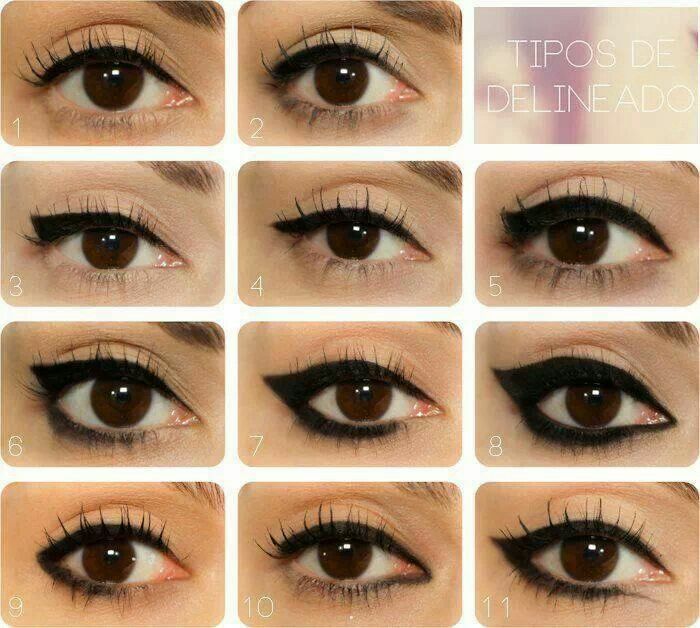 The very important thing is to mind your eye shape; you can check it in the picture tutorials and eye shapes. 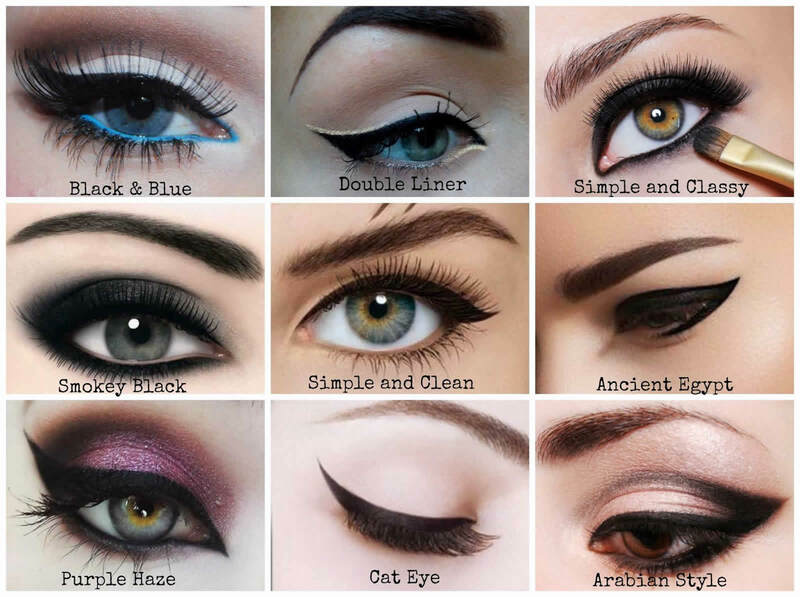 Here for now we are listing some basic steps for a perfect eyeliner. 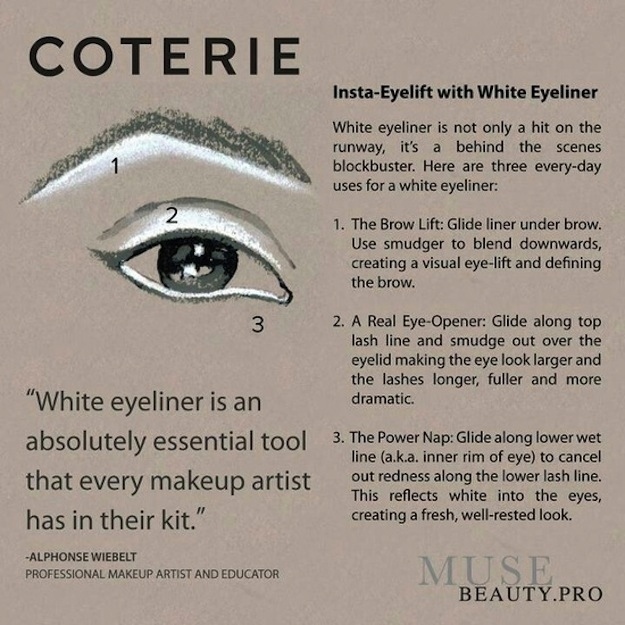 Take a small brush dipped in gel liner or liquid eyeliner with a superfine tip and dot liner in between your lashes above your waterline for subtle definition. 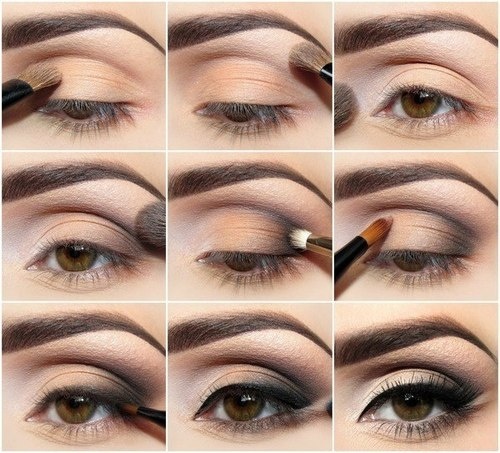 Use a white pencil on your brow bone, lid, and waterline to instantly look more awake. 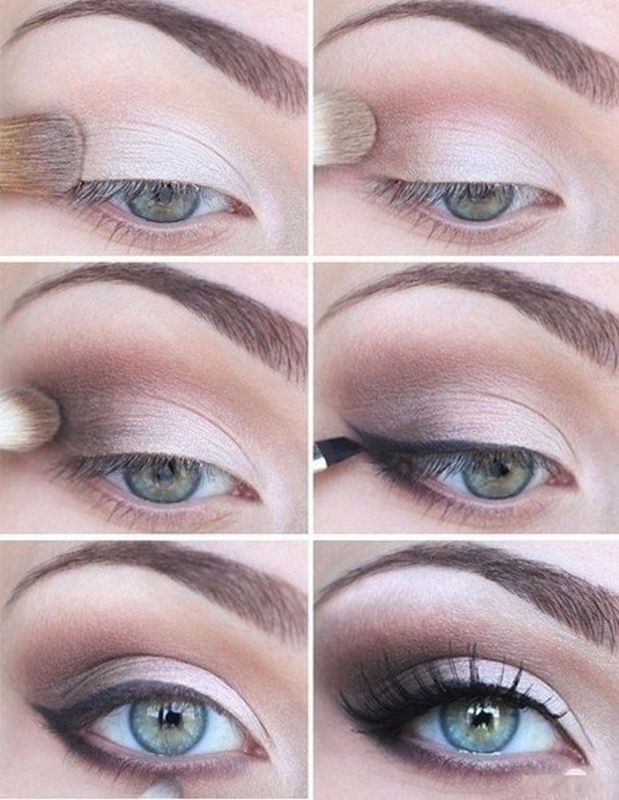 Lock in your pencil with shadow, and you’ll find your liner will last SO much longer. 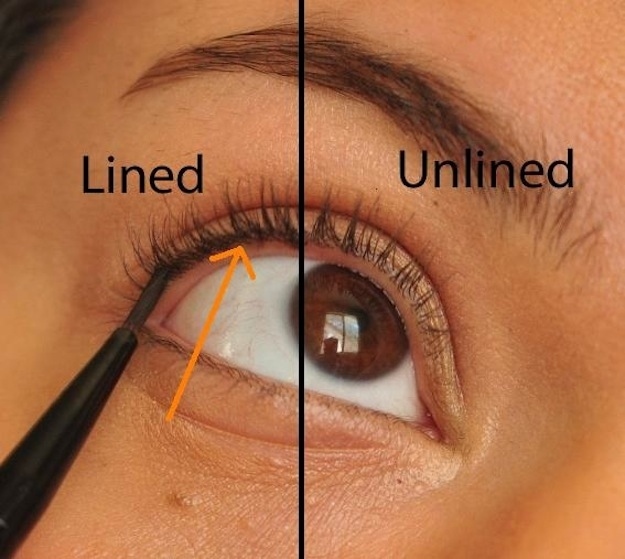 Draw a line as close as possible to your eyelid. 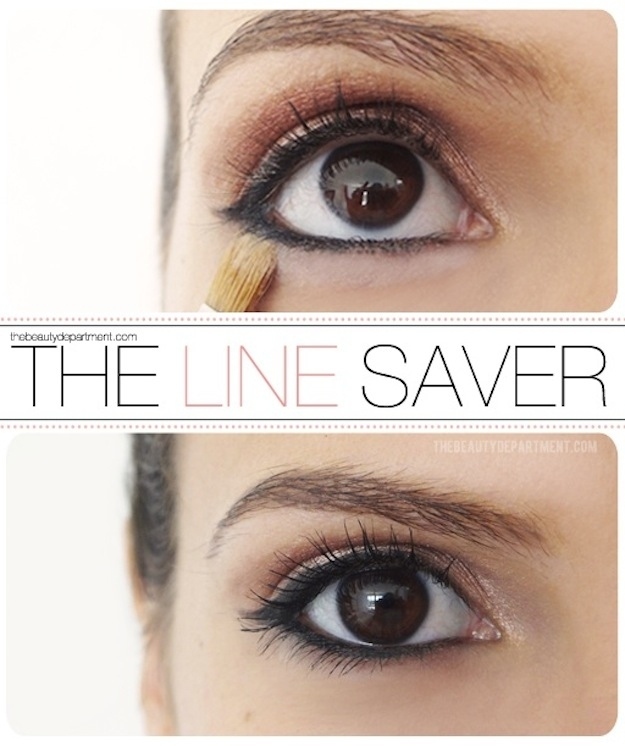 Extend the line with a thin tail, to the outer corner of an eye. 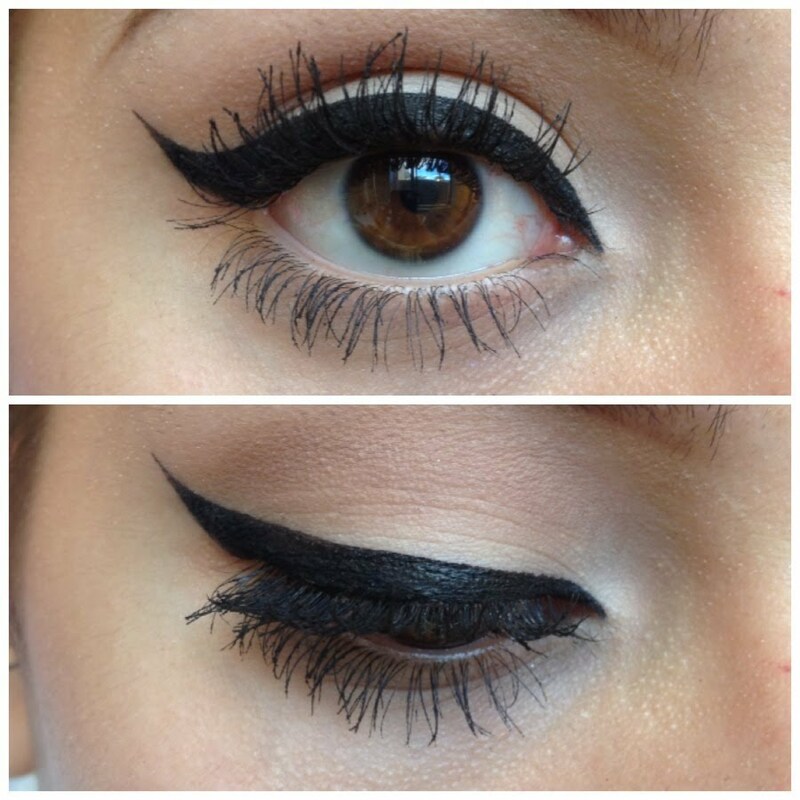 Fill the wing thickness as much it suits you. 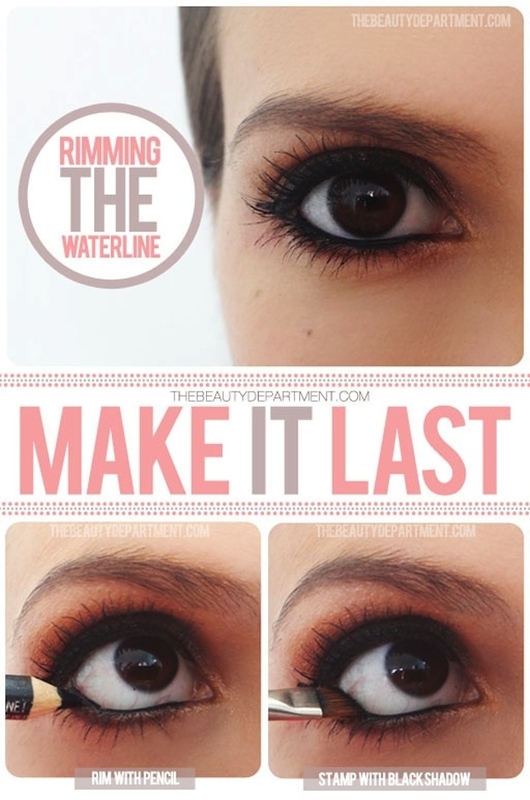 Now start a line from tear-duct to the beginning of the liner. And fill it. 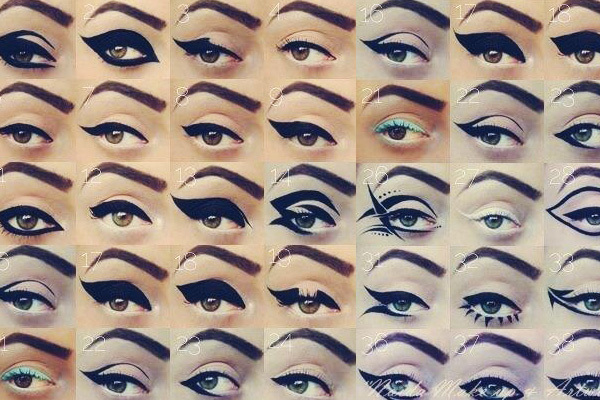 If you still have problems, buy a drawn sticker and adjust it on the eyelid. 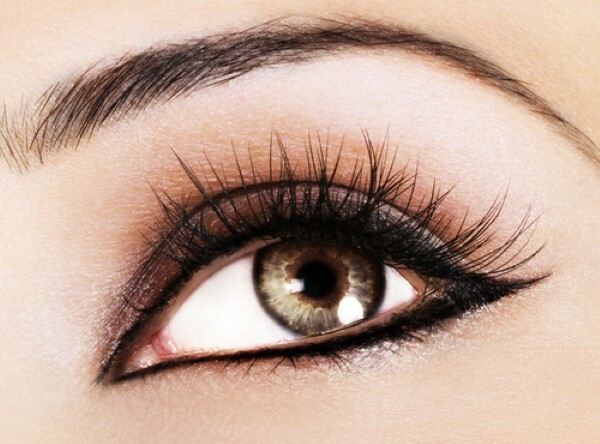 That’s it you are done with a flawless liner which will not smudge and look bright all day. 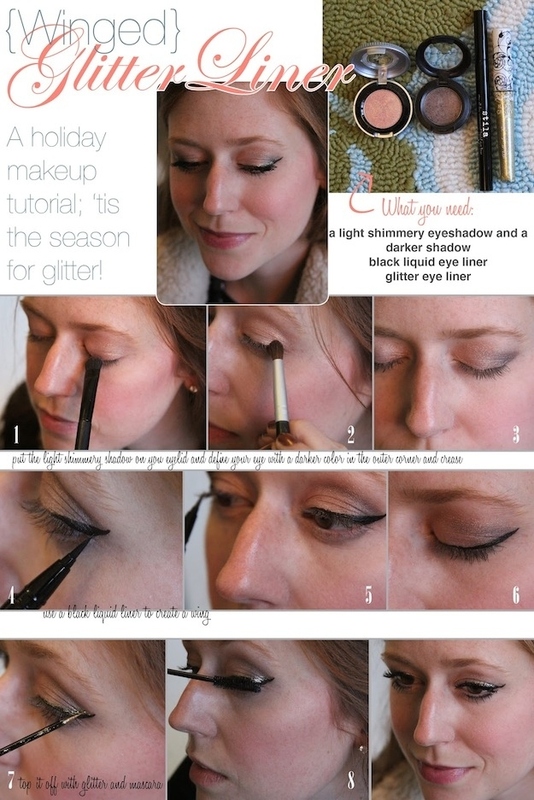 Try and enjoy, see further various tutorials and styles in pictures.